A Fort Worth couple has filed a $1 million lawsuit against the vet who kept their dog Sid secretly alive for six months after he was supposed to have been euthanized due to a diagnosed congenital spine defect. In their lawsuit, Jamie and Marian Harris allege their vet, Millard Lucien "Lou" Tierce III, DVM, said he had discovered in an X-ray that the dog had a birth defect that could not be fixed. 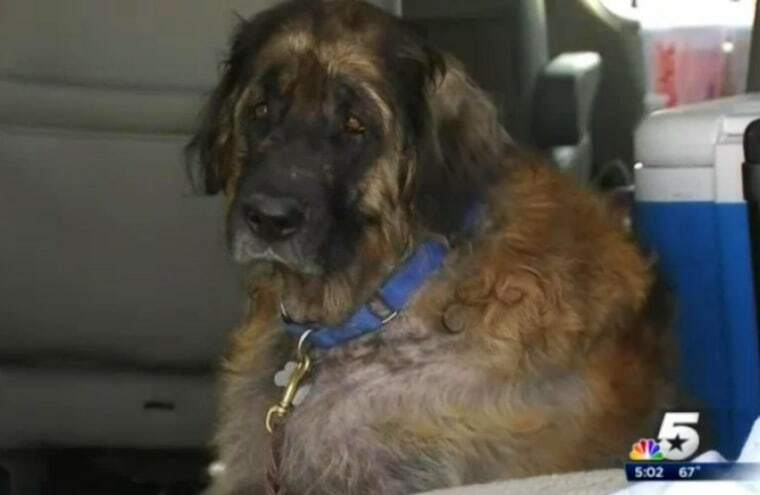 The couple, after consulting with the vet, determined the best course of action for their 170-pound Leonberger was euthanasia. Six months later, the couple was tipped off by a vet tech at Tierce's clinic that Sid was being kept alive, caged in deplorable conditions and being used for blood donations. The Harrises rushed to the clinic and retrieved their dog. As they left, they said Tierce tried to explain why he had kept the dog alive. The family took the dog to another clinic where they learned he had been "abusively kenneled," "had stressed-induced mange," and "had atrophy in his leg muscles, due to gross inactivity and the abusive kenneling," "had veins consistent with him having been used as a regular blood donor," and "definitively had no congenital spine defect." According to the lawsuit, Sid did however need treatment for bulging discs and was suffering from a degree of paralysis yet to be fully determined. Sid, who is still recovering, will eventually undergo back surgery. After recovering their dog, the Harrises alerted law enforcement and the media about the conditions at Tierce's Camp Bowie Animal Clinic. After an investigation into the claims, where Tierce admitted to keeping five dogs alive that should have been euthanized, including his own personal pet, the Texas Board of Veterinary Medical Examiners temporarily suspended his license. Tierce was also arrested and currently faces an animal cruelty charge stemming from the lack of care given to his own dog, a border collie. The Harris family is suing Tierce for $1 million in monetary relief for Sid's care and their family's pain and suffering.